Bringing about change in agricultural productivity through technology adoption is still an issue in developing countries, so is not different for Ethiopia. The study examines the determinants for adoption of agricultural technologies mainly chemical fertilizer and improved seed. It is pertinent to understand the determinants of the adoption decision of the technologies. The bivariate probit estimation result reveal that household characteristics like household size and education have a positive implication on the likelihood of adoption. Institutional factors also strongly determine the likelihood of adoption decision. In addition, the yield function estimation results also indicate that adoption of chemical fertilizer and improved seed increase wheat yield. It is only chemical fertilizer adoption that positively affect fava beans yield level. 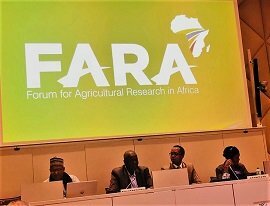 What is your dream of African agriculture in 2050?